From, The Standard: Kenya’s Mary Keitany breaks the World record time in the Half Marathon race at the RAK Half, United Arabs Emirates. The Friday event saw the 29-year-old Kenyan clock 1:05:50 to knock 35 seconds from the previous mark of 1:06:25, set by Kenyan-born Dutchwoman Lornah Kiplagat during the 2007 World Half Marathon Championships in Udine, Italy. Keitany was previously the second fastest woman in history having run 1:06:36 when she claimed the 2009 World title over the distance in Birmingham, United King. 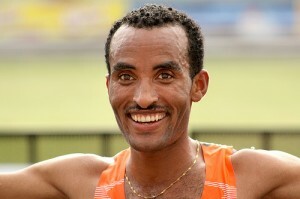 Deriba Merga of Ethiopia won the men’s race in 59:24.